Changu Narayan is the name of the deity enshrined in the Changu Narayan Temple, located near the Changunarayan village in Kathmandu Valley, Nepal. The temple is one of the oldest Hindu temples of the valley, and is believed to have been constructed in the 4th century. Changu Narayan is the name of Vishnu, and the Temple is dedicated to him. A stone slab discovered in the vicinity of the temple dates to the 5th century, and is the oldest such stone inscription discovered in Nepal. The Changu Narayan Temple is one of seven structures cited by UNESCO as demonstrating the historic and artistic achievements that make the Kathmandu Valley a World Heritage Site. Known as the biggest among the Narayans, Changu Narayan has greater importance than the others. It is situated at the top of the hill. 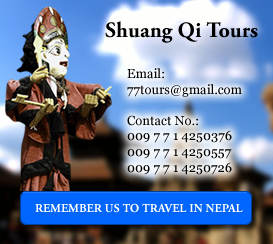 One can view the beautiful white Himalayas and hills in the north and the whole panoramic view of the Kathmandu valley. The steep green hill of pines adds to its beauty.